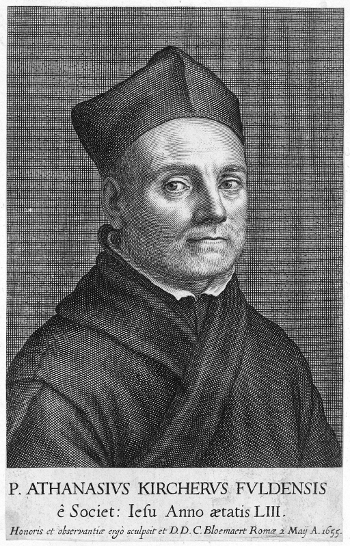 Umberto Eco defined Athanasius Kircher (1602–1680) as ‘the most contemporary among our ancestors, and the most outdated among our contemporaries’.1 Over the past hundred years, scholars from many fields have studied Kircher and his works in depth, making the Jesuit polymath one of the most fascinating case studies in the early modern period. The aim of Monumenta Kircheri — a project that has been announced recently at the Historical Archives of the Pontifical Gregorian University and which forms part of its new collaborative web platform Gregorian Archives Texts Editing [GATE] — is to bring together this body and tradition of research and use it to assemble a full edition of Kircher’s correspondence as well as an in-depth study of his printed works. Before describing details of the ambitious work underway in Rome, however, it is worth considering the term Monumenta and its significance in the title of this project. The document is a monument. That is the outcome of the effort made by historical societies — whether purposefully or not — to impose the future that given image of themselves. As a final result, there is no document-truth. Each document is a lie. It is up to the historian not to be so naive. 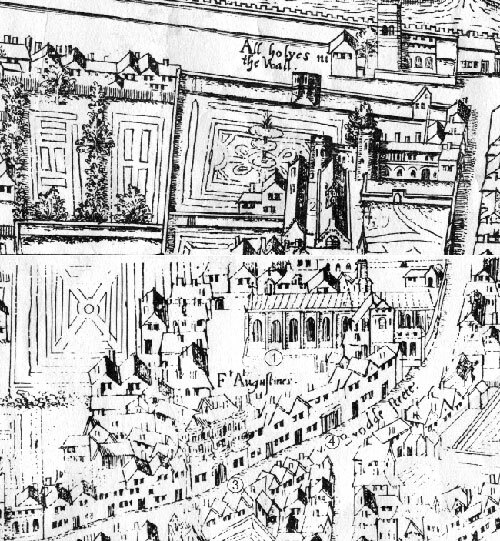 The medievalists, who worked so hard in order to build a critique — always useful, of course — of the falsehood must overcome this issue, since any document is at the same time true — including, and perhaps especially, the false ones — and false, because a monument is primarily a disguise, a deceptive appearance, a montage. First of all, it is necessary to dismantle and demolish that montage, deconstruct that construction, thus analyzing the conditions in which those documents-monuments have been produced. In 1894, at the time of the publication of the first volume of the Monumenta Historica Societatis Iesu,3 it was not possible to make such an observation, which is the result of reflection generated by historical conceptions — for example, the changing view of the document, inaugurated by the Annales school — that matured in the twentieth century. In the wake of positivist historiography, it was a foregone conclusion for the Jesuits commissioned to write institutional history to entitle a collection of sources ‘Monumenta’ with implied (but not always obvious) reference to the first collection of that type, published from 1826, the Monumenta Germaniae Historica. The Monumenta arose from a conviction that the truth lies inside the sources. One consequence of this premise has been to gather the greatest quantity of documents so that the ‘truth’ could be as complete as possible. However, within this historiographical paradigm, the exponential growth of information became an obstacle when it came to building a historical narration, concatenating effects with causes and trying to explain the succession of events in an unequivocal way. The Monumenta was to replace writing, which got bogged down in relentless and growing complexity, with documentary series, so that others could relate the story. To that effect, this vast publishing operation announced the slow and progressive phase-out of the writing of the institutional history in an attempt to look for other ways to build the Jesuit identity. The Monumenta was intended to provide support for the writing of history and, in the specific vision of the Jesuit fathers, for the writing of the history of the Society of Jesus. Paradoxically, however, the more the sources made available in Monumenta increased, the more their primary goal seemed to recede. The enterprise of the Monumenta began to reveal its own limitations to some of the Jesuits involved in its organization. On the occasion of the fiftieth anniversary of the release of the first volume, Dionisio Fernández Zapico (1877–1948) and Pedro de Leturia (1891–1955) noted the issues with the original project.4 The hope of the Superior General Luis Martín (1846–1906), promoter of the initiative, was that the monumentalisti would simply be ‘editors, not commentators of the documents’. According to Martín, document reproduction, characterized by ‘rigorous exactitude and meticulous correction’, was a guarantee of truth and could illuminate the history of the Society. Zapico and Leturia highlighted the technical difficulties of the critical edition of the documents, where it was usually not possible to maintain the impartiality envisaged by Martín. In addition, these two Jesuits recognized the intention to duplicate what was present in the archives as a result of the desire to make the history of the Order known universally, rather than bringing light into the darkness that characterizes intrinsically archival documentation. Thus the idea of equivalence between truth and document became a more complex issue. The continuous increase of information, as already perceived by the editors of the Historia Societatis of the old Society, was even more evident in the context of the restored Society and enhanced the difficulties in achieving the necessary selection that any historiographical operation implies. Nowadays, proposing the term Monumenta to identify the publication of a new series of documents might appear anachronistic. Yet the global context of the historiographical system of these Monumenta is different. The use of a technological milieu, such as that adopted in GATE, leads to a different conception of the document compared to the ‘old’ Monumenta. For instance, the possibility for the reader to consult online the digital reproduction of documents de facto tends to raise the issue of the critical edition in a different light. The methods of ecdotics, which presupposes the absence of the document, needs to be rethought. Also distinctive is the conception of creating knowledge to underpin GATE, which stems from the belief that fields of knowledge have an interlinked development and assume a collaborative and discursive environment where they can flourish, whereas such a possibility was not available in, for example, the workshops of the first monumentalisti. Repurposing the tradition of the Monumenta does not mean sharing the same vision of history and of the document proposed by the monumentalisti. Rather, the primary objective of GATE is to conduct a critical analysis of the documents/monuments, as intended by Le Goff, and, therefore, of the social system that produced them. GATE is a web platform based on Mediawiki, the software developed by the Wikimedia Foundation and used in all its projects, such as Wikipedia, Wikisource, and Wikiversity. Mediawiki is open source and maintained by a very active community of volunteer developers. The team at GATE chose Mediawiki for several reasons, including ease of installation; the ability to customize; its collaborative environment; traceability; and the possibility of reversing any contribution. It should be noted that a number of esteemed early modern projects have worked effectively with Mediawiki as a platform for collaborative work, including the successful Transcribe Bentham project. GATE has two main sections: Monumenta and Collections. The first hosts Monumenta Kircheri and Monumenta Bellarmini, both of which are intended ultimately to form complete editions and enable a deeper study of the correspondence and works of Athanasius Kircher and Roberto Bellarmino. Collections consists of a group of sources related to other authors (including at present: Angelo Secchi, Balthasar Loyola Mandes, and Pasquale D’Elia) that are being made available to users. Collections contains only documents preserved by the Historical Archives of the Pontifical Gregorian University; Monumenta collects, in addition, documents from from other institutions. Through GATE, users are able to browse the digitalization of the documents; read transcriptions as these become available; consult the pages created as annotations within the texts; query the documents metadata and annotations and make full-text searches; and access the bibliography of each project. Crucially, registered users may in addition contribute to the transcription, edition, and annotation of documents; create pages about the content of the texts; add new records to bibliographies; and initiate and contribute to discussions. Monumenta Kircheri is the section of GATE dedicated to the study of Athanasius Kircher’s works and correspondence. Kircher is being used as a case study to explore the complexities and paradoxes of a ‘long’ modernity, extending from the seventeenth century to the present day. In fact, the fundamental aim is to articulate more clearly what is often hidden in historical research, and what matters to this project lies not in the past, but rather in the present. From a methodological point of view, it is hoped the project will not be simply inter-disciplinary, but trans-disciplinary. 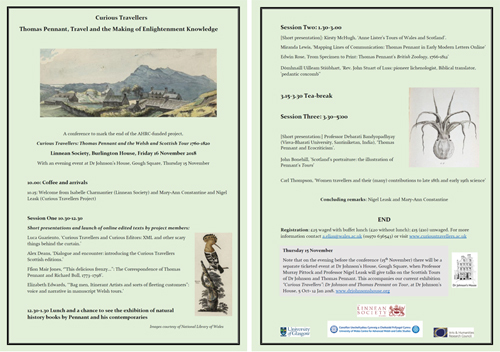 Beginning with Kircher’s crucial role in the early modern Republic of Letters, the project will insert Kircher’s case within a larger context involving the question of the nature of knowledge as both a kind of savoir faire and a kind of savoir vivre. 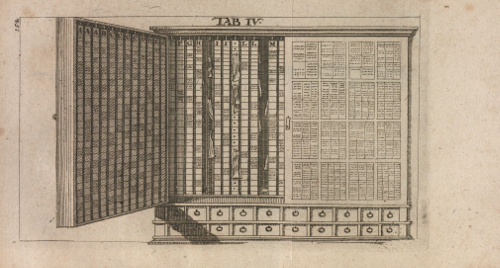 From this perspective, the intention is to reconsider Kircher’s vast bibliographical production and the methods of its dissemination, highlighting how Kircher grappled with, and contributed to, such concepts as novitas or curiositas. The project is concerned also with the material aspect of culture, most specifically with the early modern changes in the modes and methods of communicating and disseminating knowledge. 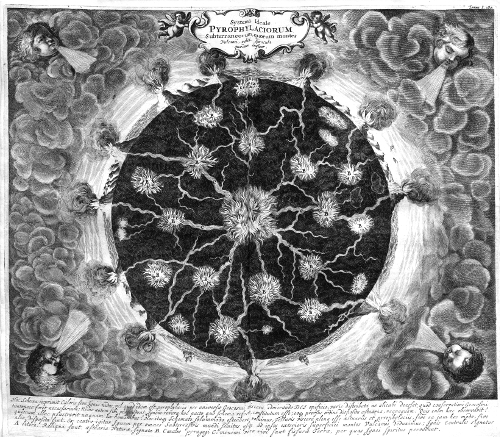 The way in which Kircher managed, reproduced, and created knowledge is a lens through which several fundamental aspects of both the early modern and the modern world may be understood and which have been the object of a recent surge of scholarly interest, for example the exponential growth of information and consequently the development of new and more effective techniques to digest, store, and select this new body of knowledge. The starting point for Monumenta Kircheri is the Bibliographia Kircheriana, an extensive bibliography which aims to record all the publications about Kircher published since his death. At present the Bibliographia lists 641 entries and it is being updated on an on-going basis with new records provided by authors or found in other publications. Through the transcription of correspondence and works, the intention is to create a comprehensive database of Kircher’s production which will permit investigation with a number of research questions it has not been possible to pose until now. It is hoped this database will become a valuable source not only for specialist Kircher scholars, but also for early modern historians. Transcriptions are made using GATE’s collaborative environment, where proofreading and validation of transcriptions may be easily managed. 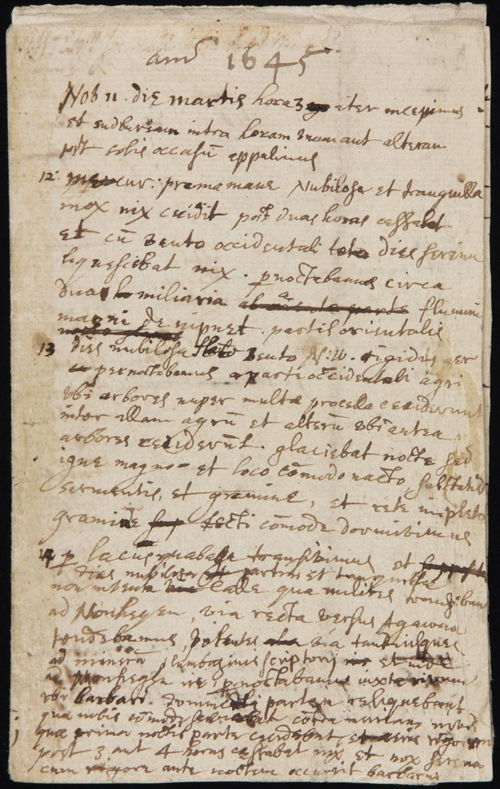 Users transcribe the text working from the image of the original manuscript or printed page. All the correspondence is being digitized again, with the aim of updating the digital images produced by Stanford in late 1990s. An edition will be assembled using a selection of TEI tags and footnotes, and with annotations as names, places, works, and objects mentioned within the texts are identified. Each annotation will connect to a specific page about that entity. Transcription, edition, and annotation are three different processes that can be contributed by different users, and while the project believes that GATE provides an excellent work environment, it welcomes also suggestions and comments regarding improvement, and it is hoped very much that members of EMLO’s community will become involved. Being a collaborative project, GATE seeks new volunteers. Several collaborations are underway with Italian high schools, involving at the time of writing more than 150 students, who have helped to set up the Bibliographia Kircheriana and have transcribed about fifty letters from Kircher’s correspondence as well as some of his printed works. The advice and involvement of more experienced users, for example master students, doctoral candidates, and established scholars, will be appreciated in particular. Training in how to use GATE, as well as on-hand assistance during the transcription, edition, and annotation processes, will be provided. Every contribution to the project will be valued enormously, and those interested in Kircher and his work are urged to be in touch. This entry was posted in Uncategorized on August 30, 2018 by Miranda Lewis. The fresh face on the EMLO home page with a correspondence catalogue published this week is that of the mathematician Joachim Jungius. Born in Lübeck in 1587, Jungius considered mathematics and logic to be the foundation of all areas of scientific study, and — as you might expect — his own work took him into a number of different spheres, including those of astronomy and medicine. For nearly thirty years until his death in 1657, this mathematician occupied the chair of natural sciences at the Akademisches Gymnasium in Hamburg. Noel Malcolm’s research on Thomas Harrison, the Oxford-educated Northamptonshire rector who languished for a considerable period of his life in prison, enriches the picture considerably, offering substantial detail of Harrison’s indexing invention — the ‘Arca studiorum‘ — and surveying the ‘general tendency of the age, towards what might be called the physical technologizing of knowledge’.6 In what he terms a ‘surprising postscript’ to the article, we are able to follow the link back, via Placcius, from Leibniz to Harrison’s ‘Ark of Studies’.7 Jungius, his note-taking, his filing system, and his pupil and editor Martin Fogel play a part in this tale and Malcolm traces the description of Harrison’s invention printed by Placcius that was based on a manuscript in the possession of Johann Adolf Tassius (1585–1654). Tassius was Jungius’s deputy at the Akademisches Gymnasium in Hamburg. In this hot summer month, happy reading to all of both letters and research on early modern schemes for the organization of knowledge! This entry was posted in Uncategorized on August 6, 2018 by Miranda Lewis. As part of an innovative collaboration between Oxford and the Sorbonne, here at EMLO we’re delighted to announce that applications for a three-year fully funded fellowship are being accepted currently from students wishing to pursue doctoral studies in the history of science, in mathematical sciences, in digital humanities, or in computer science. Details of the fellowship have been provided in both English and in French, and for further details please contact Alexandre Guilbaud at the Sorbonne (his email address may be found below). Should you choose to apply, good luck! The doctoral fellowship is part of a scientific collaboration between the Faculty of Science and Engineering of Sorbonne University and the Faculty of History of the University of Oxford. The candidate will work in the Digital Humanities team at the Institut des sciences du calcul et des données (ISCD) of Sorbonne University (Paris, France) and will carry out a period of research at the University of Oxford (UK) within the framework of the Cultures of Knowledge research project/Early Modern Letters Online [EMLO]. 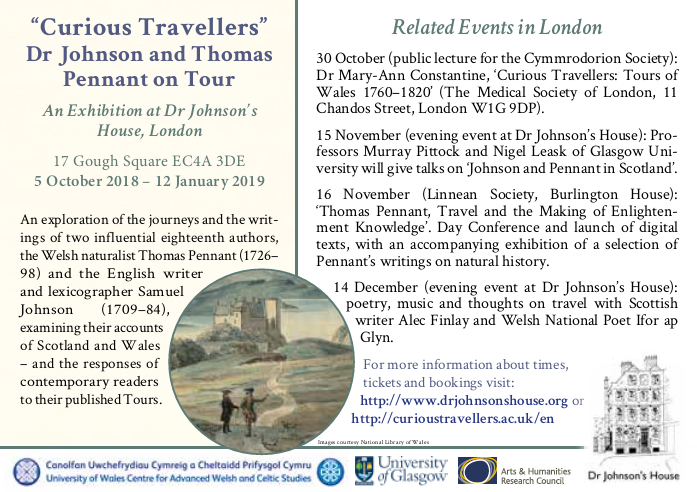 An association either with Oxford’s Centre for the History of Science, Medicine, and Technology or with the Mathematical Institute is possible during the stay. Cette thèse fait l’objet d’une collaboration scientifique entre la Faculté des sciences et ingénierie de Sorbonne Université et l’équipe EMLO de l’Université d’Oxford. Le candidat travaillera dans l’équipe « Humanités numériques » de l’Institut des sciences du calcul et des données (ISCD) de Sorbonne Université (Paris, France) et effectuera un séjour de recherche à l’Université d’Oxford (UK) dans le cadre du projet de recherche Cultures of Knowledge/Early Modern Letters Online [EMLO]. Une collaboration avec le Center for the History of Science, Medicine and Technology ou avec le Mathematical Institute d’Oxford sera possible durant ce séjour. Pour candidater, envoyez votre cv et le descriptif de votre projet de recherche à l’adresse alexandre.guilbaud@sorbonne-universite.fr. Vous pouvez également écrire à cette adresse pour tout complément d’information sur la thèse. This entry was posted in Uncategorized on July 30, 2018 by Miranda Lewis. For those who have been waiting for the follow-up to last month’s post regarding work in EMLO on the correspondence from the archive of the Dutch Church in London, I’m delighted to announce that the update has been completed successfully. A total of 1,511 letters from volume 3, part 1, of the meritorious edition published by John Henry Hessels is now in place in the union catalogue and metadata for this archive may be consulted.1 Former EMLO Digital Fellow Catherine Wright began work with this third volume, although the lion’s share of the work was carried out by her successor Karen Hollewand, an Oxford student who worked with EMLO whilst bringing her doctoral thesis on Hadriaan Beverland to a successful completion. As Karen has moved subsequently to the Netherlands to embark upon her post-doctoral career, we are looking for a student with a good working knowledge of Dutch to pick up where she left off and to begin work on volume three, part two (which contains letters from 23 June/3 July 1631 onwards). Should you be interested, please drop me a line. This entry was posted in Uncategorized on July 24, 2018 by Miranda Lewis. The English mathematician John Collins (1625–1683) did not travel to France during his lifetime. 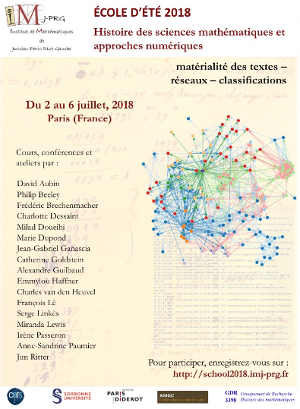 However, his correspondence catalogue in EMLO was one of a cluster showcased at a Summer School entitled Histoire des sciences mathématiques et approches numériques : matérialité des textes, réseaux, classifications that took place last week in Paris at the Jussieu campus of the Sorbonne Université. Organized by Catherine Goldstein (CNRS, IMJ-PRG), Jean-Gabriel Ganascia (UPMC, LIP6), Alexandre Guilbaud (UPMC, IMJ-PRG), Irène Passeron (CNRS, IMJ-PRG), and Richard Walter (CNRS, ITEM), the Summer School brought together from around the world mathematical historians and students to discuss and explore the opportunities offered today by a variety of digital approaches and tools. In the course of five intense days, the impact of these approaches on research methodologies and practices was assessed and considered, and questions were raised about both their advantages and their limitations. With a plenary to deliver and a series of workshops to run in the course of the week, Philip Beeley, Charlotte Marique, and I ‘packed’ a variety of sample letters from the correspondences of early modern practitioners of mathematics, all of whom either have catalogues in EMLO or for whom we are in the process of preparing an epistolary inventory. Along with letters by John Collins, we took (in alphabetical order to avoid any excuse for dispute!) examples from the correspondences of René Descartes, Leonhard Euler, Pierre Fermat (or Pierre de Fermat — the form of his name itself became a topic of discussion during the week), Joachim Jungius, Pietro Mengoli, Isaac Newton, Blaise Pascal, and John Wallis. 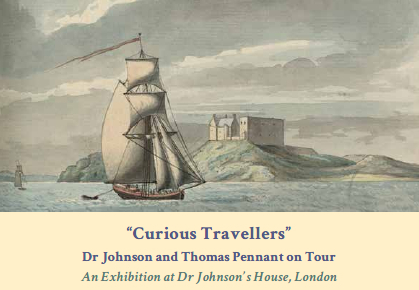 Fractious, querulous travelling companions these early modern individuals would no doubt have been, and it proved a sustaining game to imagine who might be saying what as we made our way across the channel and back, through delays, rail strikes, football mania, and sweltering temperatures. At the Summer School, we were treated to wide-ranging talks and workshop sessions on key aspects of mathematical history, digital approaches, and future possibilities. In addition to the detailed courses and discussions led by the organizers on materiality, networks, and classification, we attended a variety of inspirational lectures, including Milad Doueihi on ‘Computation and the Humanities: Past and Present’, and Charles van den Heuvel on ‘Paper Bulwarks and Digital Fortresses. Mixed Methods for analyzing the Duytsche Mathematique’. Workshops provided the students with an introduction to XML/TEI; to transcription tools; to the truly wonderful database, Manuscrits, Usages des Supports d’Ecriture [MUSE], conceived and constructed by Claire Bussaret and Serges Linkès to allow detailed material description (for example, of paper types, watermarks, and seals) to be recorded; and of course to our own EMLO and its array of metadata collation tools. It was a privilege to receive an invitation to address the participants at this Summer School and to have been offered the opportunity to discuss the possibilities of future collaboration with esteemed colleagues in the history of mathematics. We will write here in due course of a number of the ideas and schemes considered. For the present, however, as we unpack teaching materials that include copies of the letters of our early modern travelling companions, we continue to play our own travelling game of ‘Fantasy Early Modern Comments’ (a fine alternative to Fantasy Football, I might add!) by imagining how EMLO’s mathematicians would have responded to this French excursion — travelling attire, wigs, heat, and all. While we have no doubt that Mr Collins would be pleased to see the inventory of his correspondence swell last week to 264 letter records as an installment of the correspondence in the care of the Library at the University of St Andrews was added, we suspect other members of our Oxford-London travelling party might not be so well disposed or compliant. If you feel to join our summer game, complaints (ascribed to early modern mathematician) by email, please. This entry was posted in Uncategorized on July 8, 2018 by Miranda Lewis.